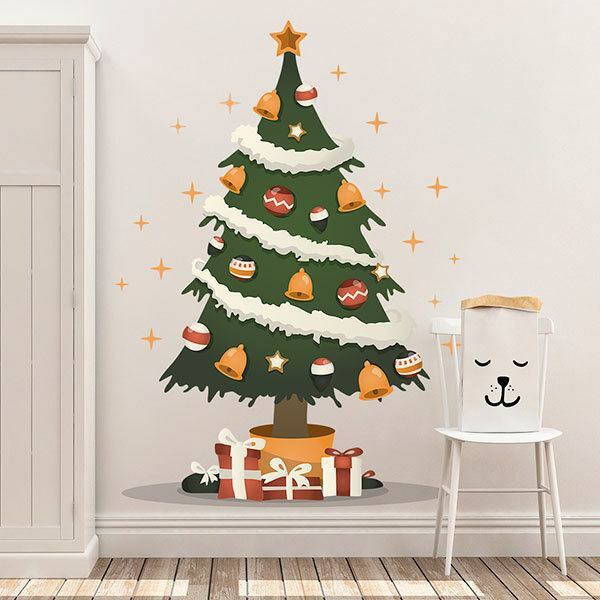 Kids wall sticker Magic Christmas Tree. 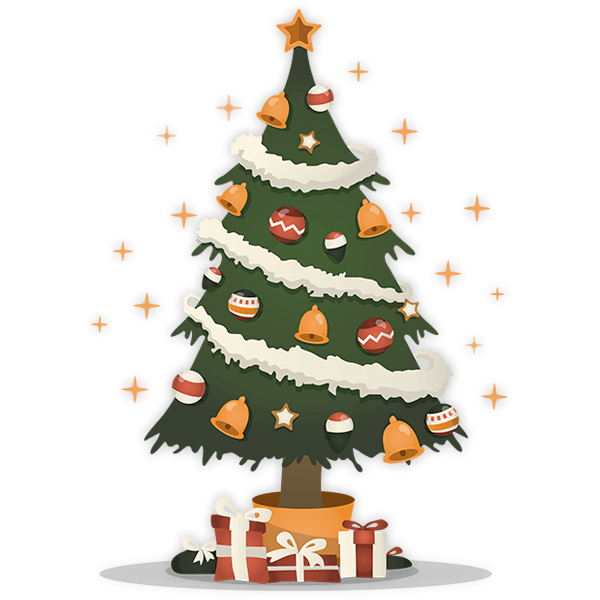 This Christmas tree includes the classic decoration with garlands, decorative balls, small bells, without forgetting the star. Under the tree we find 3 gifts. There are a few stars around that you can trim and place to your liking. Size: 62 x 32 cm. 11.81 x 16.54 in. 15.75 x 21.65 in. 19.69 x 27.56 in. 23.62 x 32.68 in. 27.56 x 38.19 in. 31.50 x 43.70 in. 35.43 x 49.21 in. 39.37 x 54.72 in. 43.31 x 60.24 in. 47.24 x 65.75 in. 51.18 x 71.26 in.